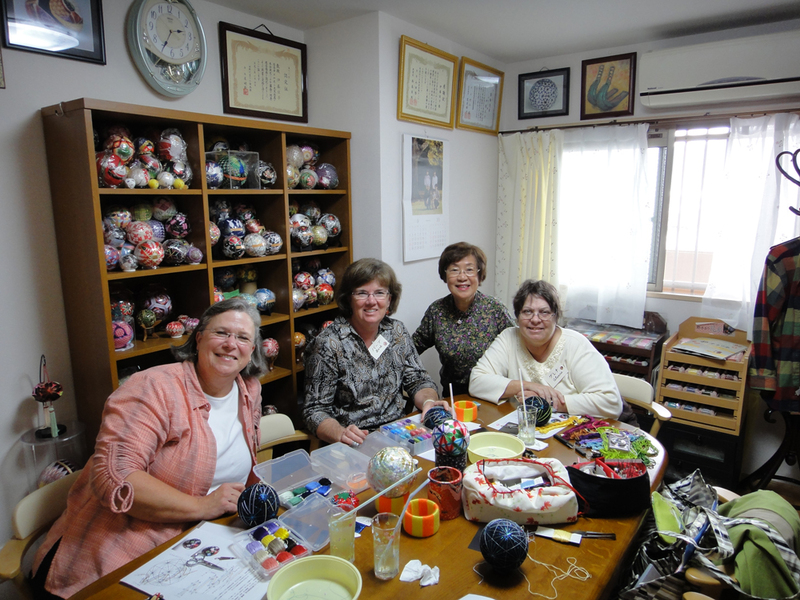 Barb Suess sent this great pic of herself with Kathy (left), Glenna (right) and Sensei Itoh in Japan during their recent holiday. I bet they were jumping out of their skins at such a wonderful opportunity to stitch temari at a class in Japan. Click the image to see it a little larger and admire all the temari in the shelves.